Watford’s Cassiobury Park is digging up the aristocratic past: The borders used to be owned by the Earl of Essex. Everyone was invited to discover more about a 200-year-old Swiss Cottage. 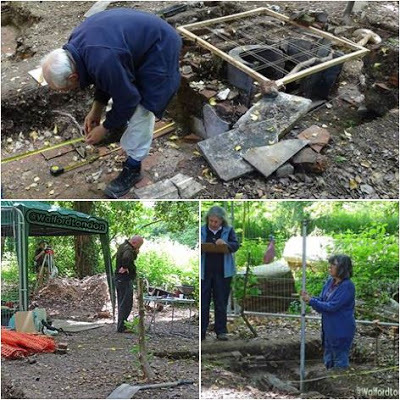 Archaeological Dig Open Days, Gade Avenue green space, by the river. The Georgian ‘Swiss’ cottage and grounds were used for picnics and parties for the Earl of Essex’s family and friends and included a small museum. School groups were also allowed to use the building. Part of the cottage and the smaller building nearby were lived in rent-free by estate staff and their families.